Music forms a central role in modern societies. It is a doorway to our emotions, our opinions, our buying patterns or voting choices and our thoughts on eternal matters. Music also has an uncanny way of soliciting fierce loyalties. In church circles congregations hold doggedly onto genres of music for decades, regardless of how the times have changed. The seduction of fame and fortune. Prostituting their gift for a living or applause. Dying a slow boring death in the monotony of a stale church culture. I believe that the role of a musician is like that of a prophet. The message is not creativity, the message is not protest or rebellion, the message is the Gospel of Jesus. Whether in church or the darkness of the world, God gifts people with creative genius, with innovative methods to speak a language that reaches lost people with the message of Jesus. Sometimes that message is subtle and the lifestyle speaks the Gospel, other times it is overt, but if the message is lost, the musician is likely to get lost too. A critical role of the band leader is to help the church to “make melody to the Lord with your heart” . This is a lofty call , one which breathes life and strength into a local church. Our musicians need to be striving to excel in this arena and to give what the have to the whole Christian world. We want to see the songs written in the local church shared with other movements and flows, this is done by release of digital versions, social media and DVDs. Church services are not meant just for believers. When Paul speaks to the Corinthians he is clearly expecting unsaved people in the meetings. He warns against the improper use of tongues in worship for the sake of the unsaved. He encourages the proper use of prophecy in worship for the sake of the unsaved. So if unsaved people are in the building and we are to be “addressing one another in psalms and hymns and spiritual songs”, then surely we want to speak in a language and in a way unsaved people want to hear. Paul said that he became all things to all men that he might win some. Surely our singing at events and Sundays needs to be as good as the world and in a language that the world can relate to? We want to hold events that the unsaved attend that connect with them and that preach the gospel clearly. These events can be in our facilities or in neutral venues. It is a misnomer to say that Christians singing in dark places are all missionaries. Some are, many are not. The biblical examples for this sort of evangelism are not directly associated to singing. The occasional preach that references a poet or an idol might encourage us to be well versed in current worldly trends. However, the new testament has as a major theme the walking into market places with a gospel message, the proclamation of Jesus in the halls of kings and other religions. We need to note, however, that the motif is “GOSPEL” preaching. Not “being accepted as a ‘nice guy’”. I believe that there is space for music in the market place at varying degrees of “gospel intensity”, however the goal must be to make Jesus famous, even if we loose our “fame and fortune” in the process. Those who water down their witness to the point that they are unrecognisably Christian are kidding themselves when they claim to be “on mission”. So subtle lyrics are cool to start with, but if you are a Christian in disguise then you are a “prayer warrior” (assuming you pray), not a muso on mission. So we believe musicians playing in a dark world are essential, however, to avoid casualties en route, they need to be light. ‘Connected’ means they “worship” in local bands as well as play in marketplace ones . For a musician to play only in a pub ( .e not in intimate worship), is like an evangelist only talking to the unsaved, and never to God in prayer. The last thing we want is to see casualties among our musicians. We do not want to see our musicians selling out for fame and fortune. 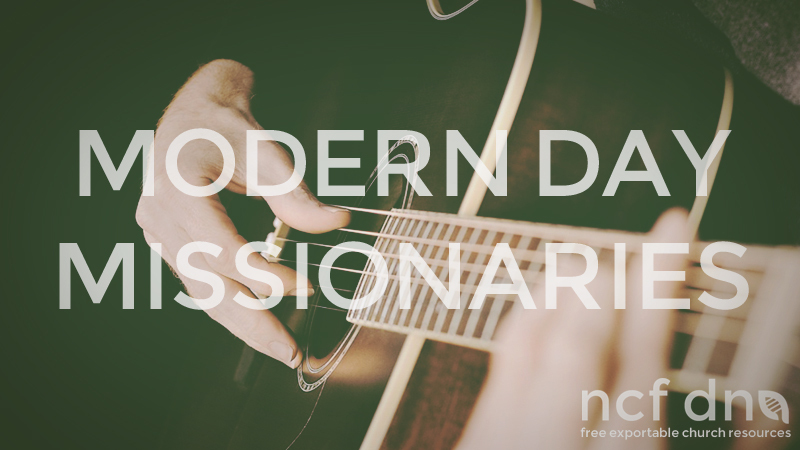 Neither do we want to see musicians squander their anointing by going into disguise and dumbing down the glory of the gospel into “wannabe ” worldly musos. On the other hand, we do want to see music used to rescue lost people by penetrating their dark world and by inviting them to church where they hear their style of music “thoroughly” redeemed. We hope that this resource blesses you and the way you lead worship in your Sunday meetings. Feel free to print, edit and distribute this document.